Product prices and availability are accurate as of 2019-04-23 03:07:46 UTC and are subject to change. Any price and availability information displayed on http://www.amazon.co.uk/ at the time of purchase will apply to the purchase of this product. We are delighted to stock the brilliant Solar Powered Terracotta Cascade Water Feature with LED Light and Battery. With so many on offer these days, it is good to have a make you can recognise. 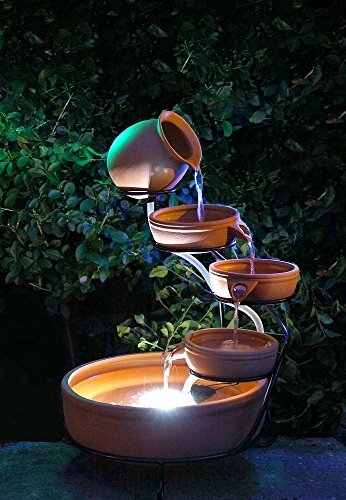 The Solar Powered Terracotta Cascade Water Feature with LED Light and Battery is certainly that and will be a excellent purchase. 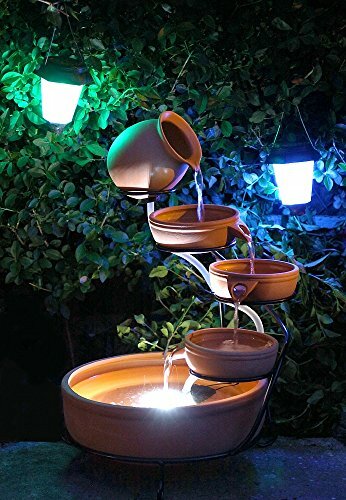 For this price, the Solar Powered Terracotta Cascade Water Feature with LED Light and Battery comes highly recommended and is always a regular choice for lots of people. Aqua Moda have included some great touches and this results in good value. 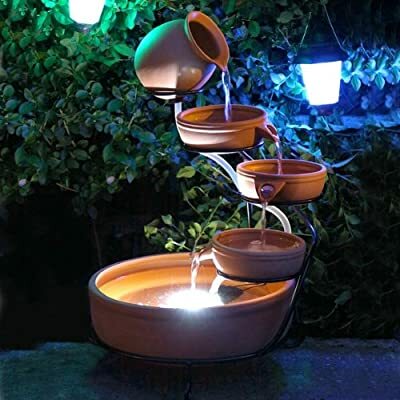 This attractive terracotta cascade water feature, consisting of a jug, three small bowls and a larger bowl that doubles as the water sump, requires no wiring or connection to a water supply as it features a solar powered pump. 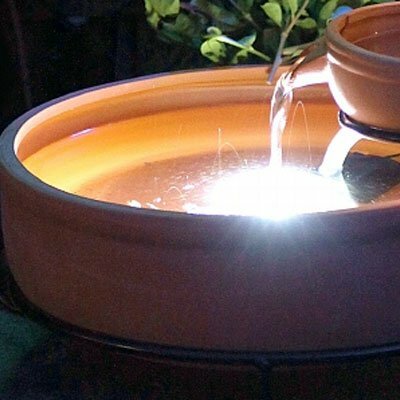 The system includes a rechargeable battery,(charged from direct sunlight) which automatically stores power to ensure the terracotta Cascade can be enjoyed on cloudy days. 360mm (w) x 310mm (d) x 530mm (h). Now for 2016 also includes a battery charger (approx 2 hours for full charge.) Also can be used to run the pump indoors from the mains.